Saleh Hamid, “Former Iran forces leader appointed to the helm of Basij militias,” Al Arabiya, December 10, 2016, https://english.alarabiya.net/en/News/middle-east/2016/12/10/Former-Iran-forces-leader-appointed-to-the-helm-of-the-Basij-militias.html. The Basij is the domestic arm of the IRGC, responsible for internal security to protect against perceived threats to the Iranian regime.Ali Alfoneh, “The Basij Resistance Force | The Iran Primer,” United States Institute of Peace, accessed February 27, 2015, http://iranprimer.usip.org/resource/basij-resistance-force. “Council Regulations (EU) No 359/2011 of 12 April 2011 Concerning Restrictive Measures Directed Against Certain Persons, Entities and Bodies in View of the Situation in Iran,” Official Journal of the European Union, April 14, 2011, http://eur-lex.europa.eu/legal-content/EN/TXT/PDF/?uri=CELEX:32011R0359&rid=10. The Basij reportedly beat protesters, looted student dormitories, and tortured prisoners. Naqdi is known among Iranians as “the Tyrant of the Campus” because of the Basij’s violent repression of student protesters.Matt Siegelheim, “Obama Administration Targets Two More Iranian Officials for Sanctions, Including Prosecutor of US Hikers,” ABC News Radio, February 23, 2011, http://abcnewsradioonline.com/world-news/obama-targets-two-more-iranian-officials-for-sanctions.html. In 2009, Naqdi promised that new cooperation between the IRGC and the Iranian media would further limit dissent against the regime.Robert F. Worth, “Iran Expanding Effort to Stifle the Opposition,” New York Times, November 24, 2009, http://www.nytimes.com/2009/11/24/world/middleeast/24iran.html. Prior to commanding the Basij, Naqdi led the intelligence divisions of the Basij and the Quds Force, the IRGC’s external operations wing. Iranian police had twice arrested him for torturing suspects.“Senior Iranian Police Chief Charged with Torture,” BBC News, March 3, 1999, http://news.bbc.co.uk/2/hi/middle_east/290021.stm; “Mohammed-Reza Naqdi,” Foundation For Defense of Democracies, http://www.defenddemocracy.org/mohammad-reza-naqdi#_ftn2. Naqdi believes Iran’s global influence is growing. He has accused the West of fearing Islam and the Islamic revolution. Naqdi credited this fear with forcing Western powers into negotiations over Iran’s nuclear program.“Basij Commander: West in Talks With Iran for Fear of Islam, Revolution,” Fars News Agency, April 29, 2015, http://english.farsnews.com/newstext.aspx?nn=13940209001431. He called the nuclear negotiations a pretense to stall the imminent collapse of both Israel and Saudi Arabia.“Basij Commander: West in Talks With Iran for Fear of Islam, Revolution,” Fars News Agency, April 29, 2015, http://english.farsnews.com/newstext.aspx?nn=13940209001431. He has accused the United States of creating ISIS“Basij Commander: West in Talks With Iran for Fear of Islam, Revolution,” Fars News Agency, April 29, 2015, http://english.farsnews.com/newstext.aspx?nn=13940209001431. and of waging a cultural war on Iran.“Basij Commander: West in Talks With Iran for Fear of Islam, Revolution,” Fars News Agency, April 29, 2015, http://english.farsnews.com/newstext.aspx?nn=13940209001431. Naqdi openly boasts of Iran’s flow of arms to Palestinian terrorist groups in the West Bank and Gaza Strip.“Basij Commander: West in Talks With Iran for Fear of Islam, Revolution,” Fars News Agency, April 29, 2015, http://english.farsnews.com/newstext.aspx?nn=13940209001431. Naqdi has promised that Saudi Arabia’s ruling regime will share the same fate as that of former Iraqi dictator Saddam Hussein because of what he has called Saudi aggression in Yemen.“Basij Commander: Saudi Aggressors to Experience Saddam’s Fate,” Fars News Agency, March 31, 2015, http://english.farsnews.com/newstext.aspx?nn=13940111000551. He has predicted the United States will permanently leave the Middle East after Saudi Arabia’s fall.“Basij Commander: Saudi Aggressors to Experience Saddam’s Fate,” Fars News Agency, March 31, 2015, http://english.farsnews.com/newstext.aspx?nn=13940111000551. Since Iran signed a nuclear agreement with world powers in 2015, Naqdi has continued to condemn the United States and the West as enemies of Islam and Iran.“Basij Commander: US Hiring Criminals as Proxies in Yemen, Syria Wars,” Fars News Agency, December 24, 2015, http://en.farsnews.com/newstext.aspx?nn=13941003000390. Muhammad Naqdi“Recent OFAC Actions,” U.S. Department of the Treasury, February 23, 2011, http://www.treasury.gov/resource-center/sanctions/OFAC-Enforcement/Pages/20110223.aspx. The U.S. Department of the Treasury designated “Mohammed Reza Naqdi” a Specially Designated National.“Treasury Designates Tehran Prosecutor General, Basij Commander for Human Rights Abuses in Iran,” U.S. Department of the Treasury, February 23, 2011, http://www.treasury.gov/press-center/press-releases/Pages/tg1076.aspx. The United Nations designated “Mohammed Reza Naqdi” under Resolution 1803 for aiding Iran in evading sanctions on its nuclear program.“S/Res/1803,” U.N. Security Council, March 3, 2008, http://www.un.org/en/ga/search/view_doc.asp?symbol=S/RES/1803(2008). The European Union designated “Mohammed Reza Naqdi” as “responsible for or complicit in Basij abuses occurring in late 2009, including the violent response to the December 2009 Ashura Day protests, which resulted in up to 15 deaths and the arrests of hundreds of protesters.”“Council Regulations (EU) No 359/2011 of 12 April 2011 Concerning Restrictive Measures Directed Against Certain Persons, Entities and Bodies in View of the Situation in Iran,” Official Journal of the European Union, April 14, 2011, http://eur-lex.europa.eu/legal-content/EN/TXT/PDF/?uri=CELEX:32011R0359&rid=10. 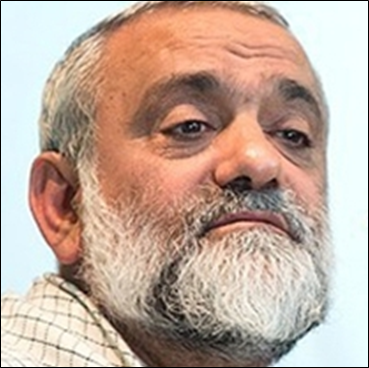 Mohammad Reza Naqdi is the deputy director of cultural and social affairs of the Islamic Revolutionary Guard Corps (IRGC).